Internal door locks are geared towards privacy more than anything, and therefore are generally not graded to the same levels of security as those you'd find in our front door locks range, quite simply because they don't need to be. On most doors around the home, you're probably likely to have nothing more than a tubular latch fitted, to quite simply allow you to open and close doors with a pair of handles. For these general 'passage doors', this is all you need and you'll find a great selection of door latches here if you're looking to replace old or worn out latches. On your bedroom and bathroom doors however, it's quite common to have a lock on the door. 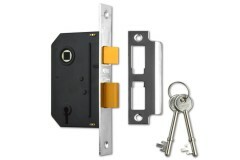 Since this is moreso for your own privacy rather than security, these locks don't offer all the bells and whistles of a 5-Lever British Standard door lock, and so don't generally cost as much as these high security options either. If you're looking for a lock for your bedroom, then we offer a range of privacy locks for bedroom doors; these are generally 2-3 lever locking mechanisms, providing basic security against unwanted entry by family members or visitors, keeping your personal space private from everyone else. 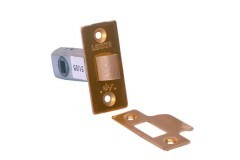 When it comes to bathrooms, special bathroom door locks are recommended, as they offer the simplicity of being operated by a thumb-turn to lock and unlock the door, rather than having to use a key which may end up misplaced or lost - and in addition to this, most privacy turn sets for these locks offer the safety override slot on the outside, allowing you to use a coin or screwdriver to unlock the door from outside in the event of an emergency. 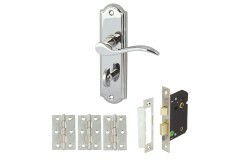 We also do a complete range of interior door handles to suit all of these locks and latches! It is important to know what type of lock to fit on a bathroom door. 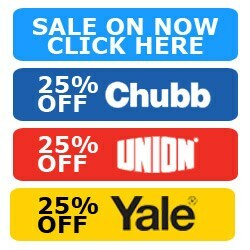 Here you will find all of our bathroom locks, ranging from the common sash-lock type bathroom locks which offer a latch and a.. 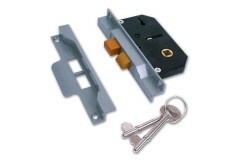 Door latches are a very simple form of keeping a door closed; mostly with no locking or security solution incorporated. This makes their primary use internal, "passive" doors, where locking is n..
For most bedroom doors people use mortice latches, but these don't allow for locking. 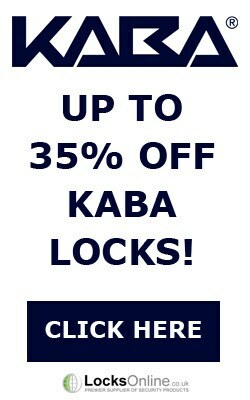 The locks in this range below are low security but ideal for a cheap simple solution where there is a need to lock..
Rebated Door Locks and Latches are used on double doors. 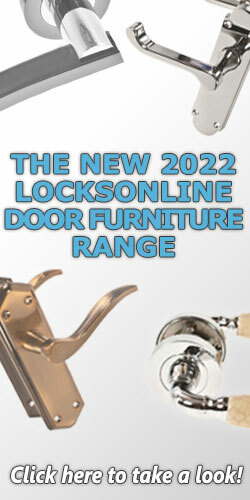 The range of latches and locks are ideal for internal use or when security isn't a primary concern. They offer no security, and are for passage..